Am I too critical of President Obama? Maybe I am too critical of President Obama. Maybe he is doing the best that anybody could do under the circumstances. Barack Obama has qualities I admire. He understands issues, and is able to articulate his understanding. He has sympathy for people, and is able to understand the viewpoints of people different from him. He is likable, yet has a natural dignity. There is no other national political figure I would like to see in his place. Barack Obama is a human being. It is not reasonable to expect him, or anyone else, to be a miracle worker of messiah. He does not have the powers of an absolute monarch or a dictator. As President, he heads just one of the three branches of the federal government, and the government as a whole can influence but not determine the direction of society as a whole. It is not his fault that the government is so dysfunctional or that the electoral process is so subject to the power of big money. The Obama administration faces many serious problems – the economic recession, health care, finance, immigration, climate change, two ongoing foreign wars – any one of which would be serious enough to occupy a President full-time. If his handling of any one of these issues is imperfect, it is understandable. The Republican opposition regards him as illegitimate, and its priority is to prevent any constructive action that Obama and the Democrats could take credit for. The opposition is aligned with the Rupert Murdoch media empire, which seeks to discredit him by any means possible. As a black man, Obama is limited in what he can do or say without alienating us white people. His political support from whites depends upon his seeming rational, reasonable and a seeker of the middle ground of compromise. I think Obama’s approach to things reflects his character and his sincere convictions, but it limits him. We whites would feel threatened if he suddenly talking like a Lyndon Johnson or George W. Bush. In the end, the important question is not what Barack Obama does, nor what Harry Reid, Mitch McConnell, Nancy Pelosi, John Boehner or any of the other political players do. The key question is what the United States of America does. Either we the American people, our leaders and our institutions are adequate to the challenges we face as a nation, or not. If they are, the United States will flourish in the future as it has in the past; if not, our country will go into into irreversible decline. I don’t think we’re meeting these challenges. I hope I’m wrong. The tests of history are not graded on the curve. They are pass or fail, and no excuses or make-ups allowed. The key to Barack Obama is that he is an establishmentarian, not a populist. Throughout his career he has worked for modest incremental changes by demonstrating his reasonableness and moderation. He has never challenged the existing power structure, but always sought to work within that structure. This is not weakness of character. It is a reflection of his sincere convictions. When you are dealing with reasonable people, this approach can produce good results. When you are dealing with unconditional enemies, it does not. President Obama and the Democratic congressional leaders were able to enact a health insurance bill only when they stopped pursuing the mirage of bipartisanship and made use of their constitutional powers. Have they learned a lesson? The test will be how President Obama and the Democrats approach financial reform. Will they enact legislation that really prevents the big banks from putting the financial markets at risk, or will the legislation simply be a gesture? Will Obama use his eloquence to bring the pressure of public opinion to bear on Congress, or will his energy be devoted to reassuring the financial establishment of his harmlessness. We’ll see how it goes. There are encouraging signs that the Democrats are at last willing to use their constitutional powers. But Obama is what he is. His approach has been consistent throughout his life. Click on this for amazing pictures of Iceland’s volcanic eruption, taken from the Boston Globe web site. Click on this for a history of Icelandic volcanic eruptions, taken from the Christian Science Monitor web site. Evidently Iceland and the world have gotten off relatively lightly, compared to what has happened in the past and may happen in the future. Why not Martin Luther King on the $50 bill? A congressman from North Carolina has introduced a bill to replace the face of Ulysses S. Grant with Ronald Reagan on the $50 bill. The bill has 17 co-sponsors. The bill probably won’t get anywhere, but the proposal keeps coming up. U.S. Grant deserves to be honored. He not only led the Union army to victory in the Civil War but was second only to Abraham Lincoln and maybe Lyndon Johnson as a presidential supporter of human rights. Under his administration, federal troops guaranteed the right of black people in the South to vote, to own property and to enjoy other civil rights. This ended when he left office, and civil rights were not restored until the Kennedy-Johnson era. But if you want to put a 20th century figure on the $50 bill, why not Martin Luther King Jr.? We celebrate Martin Luther King Jr.’s birthday as a national holiday, along with Washington’s and Lincoln’s. Few Americans are more revered than Dr. King, either by their fellow citizens or by the world at large. During the late part of the 19th century and the early part of the 20th century, the leaders of Great Britain ignored their nation’s industrial decline, pointing to the fact that the British pound sterling ruled international finance and the British navy ruled the waves. During the years preceding the Bolshevik revolution, the Russian czar had almost unlimited power to wage war and suppress dissent, but was unable to enact the most obvious and the most popular reforms against the resistance of the powers-that-be. During the years preceding Hitler’s rule, Germany was ruled by a weak center-left government which was unable to challenge the power of the banking establishment or the military establishment, and which was treated by its right-wing opponents as illegitimate and even treasonous. Are there any lessons here for the present-day United States? I hesitate to say, because the one thing that is out of bounds in current political discourse is making inexact historical analogies. When Eastman Kodak Co. began its downsizing in 1982, the company initially offered extremely generous severance pay to those who voluntarily quit. This prompted protests from stockholders and stock analysts. They said the stockholders are their owners of the company, and their interests should come ahead of mere employees. Is this true? Are stockholders really owners? Much of my retirement savings are in stock mutual funds, and I never have felt I am the equivalent of the owners of my car dealership, my neighborhood restaurant or my favorite second-hand bookstore. I never exercised any control over the businesses in which I owned stock, even when I owned individual stocks. What does someone who buys stock on the open market contribute to a business? He doesn’t provide capital to finance the business, because his payment simply goes to another passive stockholder. • I maintain the aftermarket that allows the original entrepreneur or venture capitalist to cash in his investment. When a company goes public – that is, offers its stock for sale on the open market – it provides a way for those who put up the money to start or finance the business to recoup their investment. This would be much harder otherwise. And few people would buy the stock if there was no way to sell it. So it is the hope that there would be people like me in the future to buy the stock that enables the investment in the first place. • By buying and selling stock, I help set a price on the value of the company. The stock price of a company, as compared to similar companies, provides an impersonal, if not always correct, estimate as to how well the company is doing. • By investing in stock, I refrain from current consumption, which frees up societal resources for other peoples’ use. If the economy grows faster than the value of my investment, I will be less of a burden on society when I cash it in. These contributions are not nothing, but they are minor in comparison to those who do the actual work of the firm. What I get in return for buying stock is (1) limited liability and (2) potentially unlimited gains. If a company in which I invest goes under, I can’t lose anything more than what I put into it. All other loss has to be absorbed by the company’s suppliers, lenders and other creditors. But there is no upper limit on how much I get if the company does well. That is a good deal. I should be willing to take it. I should be willing to take what is left over after the company gives employees reasonable pay, the suppliers a reasonable price, and customers a good quality product. It is they who create the value that supports my stock price and dividends. But this is not how things work. 2. Get seven hours of sleep. 4. Keep your weight down. 7. Don’t eat between meals. I found these rules in The Public Interest magazine in the 1970s. They were a summary of what was known to science at that time about what individuals could do to increase their health and longevity. I don’t think such a list would be different today. The point of the list was that it did not include See doctors frequently or Take lots of medication. That’s a valid and important point if you think in terms of broad statistics. On the other hand I would be dead if my former doctor had not spotted something in a routine checkup, and I have a friend who would be dead if not for medications he is taking. Still, the rules of health are good ones. That’s why I copied them and kept them to this day. In 1962, as part of my newspaper’s coverage of the 100th anniversary of the Battle of Antietam, I grew a beard. For decades after that I had mustaches and beards. Only since I retired in 1998 have I once again confronted the world with a naked face. For this reason I was interested in an item on the Making Light web page of Teresa and Patric Nielsen Hayden. Click on this to see it, then click to enlarge. There is a lot of food for thought here. Why did the beards of 19th century tycoons make them seem more respectable, and the beards of 1960s hippies make them seem more disreputable? Did a Lincoln-type beard connote honesty before Lincoln wore one? What did a Hitler-type mustache signify before there was a Hitler? Will we ever again have a bearded President? Science fiction stories generally have a short shelf life, especially if they’re set in the near future. Reality has a way of going in a different direction than predicted. 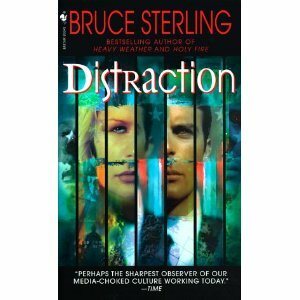 But Bruce Sterling’s Distraction, published in 1998 and set in 2044, holds up well. The main plot is the struggle of a political operative named Oscar Valparaiso to keep a vital federal research laboratory from being taken over by a demagogic governor of Louisiana, who wants to make his half-underwater state a haven for rogue biotechnology. The part that sticks in my mind is a subplot, involving Oscar’s championing of a despised ethnic minority called the Anglos, the politically-incorrect name for white Anglo-Saxon Protestants. I am reminded of it when I hear white, self-identified liberal friends holding forth on the hopeless (as they see it) dysfunction of poor black families. Oscar’s peers are alienated by the bodyguard’s personal habits, such as smearing his body with Sunblock and his food with mayonnaise. He shrugs this off. “It’s an Anglo thing, man,” he says. At another point in the novel, Oscar takes a date to a nightclub with an Anglo band. Buzzy’s was a music spot of some pretension, it was open late and the tourist crowd was good. The band was playing classical string quartets. Typical Anglo ethnic music. It was amazing how many Anglos had gone into the booming classical music scene. Anglos seemed to have a talent for rigid, linear music that less troubled ethnic groups couldn’t match. My favorite Chinese movie – maybe my favorite movie, period – is “The Emperor and the Assassin,” which came out in 1998. Its subject is Ying Zheng, who made himself the first ruler of a unified China; his Chin dynasty gave China its name. It is an epic on the scale of “Ben Hur” or “Cleopatra” which took three years to produce. The recreations of ancient palaces, costumes and battles are supposed to be historically authentic. There is a cast of thousands, and the real Chinese army supposedly helped in the battle scenes. The fascination of the movie is in the moral trajectory of the two main characters. One is the future emperor, Ying Zheng, who begins as an idealist who wants to unify China and establish peace, and ends as a cruel remorseless tyrant; and the assassin, Jing Ke, who begins as an amoral sociopathic killer and ends as a self-sacrificial hero. The most unforgettable scene I have seen, in this or any other movie, is the one that introduces the assassin, Jing Ke. He is given a contract to murder a family of sword-makers, which he does with ruthless efficiency. He first cuts down the old man, then the grown sons with a few swift sword-strokes. Then he hears a sound in the next room. He enters and sees a 12- or 13-year-old girl, standing with her hands behind her back. He perceives that the girl is blind. She says quietly, You’ve killed my family, haven’t you? I want you to kill me. You can see I can’t survive on my own like this. Just kill me. The assassin hesitates. The girl then pulls out a sword in her right hand, and plunges it into her stomach. He involuntarily moves forward to pull it out. She then pulls out her other sword in her left hand, and makes a stabbing motion. Unfortunately, being blind, she miscalculated his position and only stabbed thin air. Oh, she says calmly, You’re left-handed. And she dies. The assassin cries out in anguish, not at having killed a harmless little girl, but at witnessing the death of a spirit mightier than his own. His anguish causes him to renounce violence – for a time. I love this scene, not because I am a sadist, but because it shows what it means to be totally committed. I have lived my own life by the principle of “moderation in all things.” That can be the key to a good life, but greatness (for good or evil) is achieved by those who stop at nothing to achieve a goal. The movie is full of scenes like that. I became an enthusiast for Chinese movies for a few years after attending the 1996 World Science Fiction convention. In one suite, there was a continuous showing of Japanese animation films, and, in another, of Hong Kong action films. The host for the Hong Kong action marathon was Ric Meyers, who wrote a column called Inside Kung Fu. He was a fan of Hong Kong action videos at a time when they were not shown in the United States outside Chinatown neighborhoods, and the movie theater staff discouraged Westerners from attending. Hong Kong action films were low-budget movies designed to appeal to laborers in Hong Kong. Compared to Hollywood action films, they had more acrobatics, more surprising plot twists, more violence, a higher body count, broader comedy and more over-acting – every possible element that would lend universal appeal. With old-time Hollywood Westerns, critics used to ask how the gunfighters could fire their six-shooters an indefinite number of times without reloading. The Hong Kong action heroes avoid this dilemma by bringing enormous satchels full of assorted weapons to their showdowns. When an action hero runs out of ammo fork, say, his AK-47, he throws it away and reaches into his satchel for an Uzi, or whatever. Meyers said that a distinguishing mark of Chinese movies is that absence of a boundary between the tragic and the comic. In the action film “The Killers,” the Chinese star Chow Yun Fatt plays a professional assassin who is doing one last job in order to retire. In the process, he accidentally causes an innocent young girl to be blinded, and so takes on one more assignment to raise the money she needs for an operation. He himself is blinded in the final showdown, and he and the girl crawl toward each other. Then they unknowlingly crawl past each other, because they are blind! It is funny, and awful, at the same time. You have the same thing in the higher-end Chinese movies. In “To Live,” a young woman in childbirth is hemorrhaging and the Communists have sent the doctors to labor camps to punish them for thinking they are superior to nurses and other medical workers. The woman’s husband, an idealistic Communist, has enough influence to pull a doctor out of the camp. But the doctor is dazed and tottering on his feet, and the family realizes he is weak from hunger. They quickly cook an emergency bowl of soup, and spoon it into his mouth, upon which he drops dead. This is a horrible scene, but somehow funny; I could not keep from laughing, even though I was appalled. Meyers said the plot of “Hamlet” would make a good Chinese action movie. Hamlet’s motivation, to avenge the death of his father, is typical of a Chinese movie, as is the high body count and the death of the hero at the end. In a Western action film, the hero wins the heroine or prepares to move on to his next adventure. In a Hong Kong action film, the hero goes down impaled on a spear or riddled with bullets, knee-deep in the bodies of his enemies, having avenged the great wrong that has been done him. The only difference, Meyers said, is that if “Hamlet” had been a Hong Kong action film, somebody in the last act would have been hit in the face with a custard pie. There is a scene in the Chinese movie, “To Live” (1994) which I have never been able to get out of my mind. The movie begins with a wealthy young Chinese man, who likes to go out in the evening and gamble. His young wife and aged father ask him not to, but he says that he works hard all day, and is entitled to some relaxation. In the scene, the young man has sat down with a professional gambler, when his wife comes in to ask him to go home. The gambler says, Maybe you’d better go home tonight. The young man answers, No, my wife doesn’t tell me what to do; I decide for myself. They play their game of chance, and each time the young man loses, he makes puts his chop (signature stamp) in a book. After a few rounds, the gambler quietly says, The game is over. The young man says, What do you mean? It’s early yet. The gambler says, “No, the game is over. Here is the total of your debt. Here is a list of all your assets. You owe me everything you have. The bailiffs will come around tomorrow and sequester your property. The young man says, At least give me a chance to win my property back? The gambler says, What are you going to bet with? No, the game is over. In the movie, this proves to be a blessing in disguise, because when the Communists take over, the gambler is taken out and executed and the penniless young man and his wife are spared. The rest of the movie is about the couple’s struggle to survive the ups and downs of Communist rule. During the Great Leap Forward, their little boy is killed in an accident after working himself into a state of total exhaustion in a backyard steel mill project. During the Cultural Revolution, their grown married daughter dies in childbirth because all the doctors in the hospital have been sent to labor camps. But it is the opening scene that sticks in my mind. How many times does it happen in the life of an individual, or a nation, that you tell yourself that a habit is harmless because it hasn’t had any bad consequences, and then one day you wake up and see you have passed a point of no return. I think about this when I think about the path the United States is on – our declining manufacturing industry, our foreign trade deficit, our gridlocked political system. Will we wake up some morning and realize it is too late to do anything? Why the middle class isn’t making it. This article shows why a middle class income can no longer sustain a middle class standard of living. It originally appeared on the Zero Hedge web log, and was forwarded to me by my friend Daniel Brandt. personal bankruptcies. March 2010 saw 158,000 bankruptcy filings. we’ve got to go by 2008 numbers. decent proxy for income in the US in 2008.
monthly mortgage payments were roughly $1,022. This brings Joe’s monthly income to $1,688. this comes to a monthly electrical bill of $101.20. Joe’s now down to $1,587. needs to be able to drive to the grocery store, doctor, etc. license and registration, and average loan finance charges. you’ve got a monthly driving bill of $712. sedan) he’s already run out of money for the month. 10) Doesn’t spoil his kids with toys, gadgets, trips to the movies, etc. “wiggle” room for spending per month! — he is running into the red EVERY month. living is simply TOO high relative to incomes. taking on more debt (a net drag on incomes). have been disconnected from reality since November if not July. around will be no different. Click on this for the original version of the article on the Zero Hedge web log. Click on this for the Zero Hedge home page. Attack and criticize the oppressor, but do not humiliate him. Defend and support the oppressed, but do not glamorize him. Respect and learn from everyone, regardless of merit or position. Bestow admiration and love because it is deserved, not because you need others to protect and love you. Know your enemies. Avoid them, if you can. Subdue them, if you can’t. Honor your friends. Be loyal to them, if you can. Warn them, if you can’t. Thomas Szasz is a Hungarian-born psychiatrist and social critic known for his writings about the abuse of the concept of metal illness to (1) allow individuals to escape responsibility for personal failure or criminal actions and (2) justify incarceration of troublesome or eccentric people in mental institutions, even though they have violated no law. 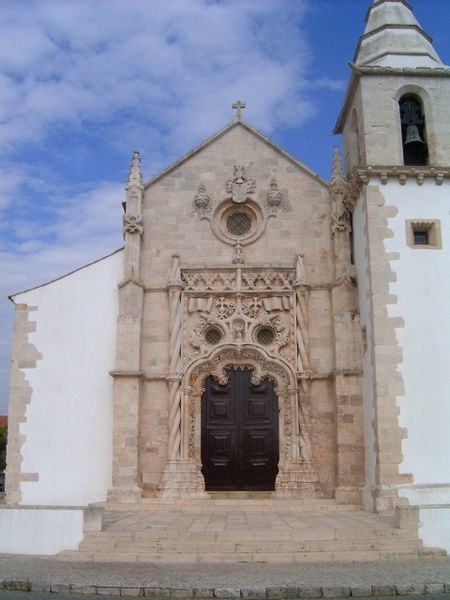 Can a church door have eyes and teeth? The job of a manager was to (1) feed the stars, (2) milk the cows, (3) shoot the dogs and (4) answer the questions. Back then the owners of the nation’s great newspapers treated them as cash cows. Newspaper circulation did not keep up with population growth, but newspaper companies typically had profits exceeding 20 percent, greater than oil companies. Profits were not typically put back into the newspaper to improve the product. Instead, newspapers shrank their circulation areas, published fewer editions, allowed news staffs to shrink and sought to maintain profits by cutting costs and staff. Now the newspaper industry is in crisis. The Tribune Co. is reorganizing under bankruptcy, but at this point it appears it will continue publishing the Chicago Tribune, Los Angeles Times, Baltimore Sun and other properties. Other famous newspapers have gone to less-than-daily publication, replaced print editions with Internet-only presence or gone out of business entirely. I would like to believe that this need not have happened if the big newspaper chains had put professionalism above profits. Unfortunately the facts don’t seem to support this belief. The McClatchy Co., the third-largest U.S. newspaper chain, which bought Knight-Ridder newspapers in 2005, has done just what I want. They have set an example of journalistic excellence, but financially they are down with Gannett Co. Inc. and all the others. The newspaper chains that are doing best, or least bad, are the ones that have diversified away from print journalism. I must have been an old grouch for most of my life. The benchmarks in my memory of the history of my times is my complaints about the younger generation and their historical amnesia. A friend of mine who teaches a college philosophy class told me a good example of this. He had a visiting lecturer who compared Socrates to Lieutenant Colombo. He said Socrates. like the Peter Falk character, asked seemingly naive questions to get at uncomfortable truths. After the visitor left, my friend asked by a show of hands how many knew who Lieutenant Colombo was. Not one knew. And maybe there are those who wonder: Who the hell was Don Hewitt? During the George W. Bush administration, federal income taxes were reduced by a few percentage points for all income classes. But it is the tax reductions for upper income brackets, and not the tax reductions that affected the vast majority of the American public, that threw the government into deficit. During the Eisenhower years, the top income tax rate was 91 percent. Millionaires and billionaires didn’t pay 91 percent of all their income in taxes, of course, only that above a certain threshold, and only when they couldn’t find a way to shelter it. During the Kennedy years, the top rate was 70 percent. I don’t advocate restoring those rates, but growth in jobs and wages was a lot better during the Eisenhower-Kennedy era than it is now. An estimated 47 percent of American households will pay no federal income taxes at all for 2009, a record figure. (These households will, of course, pay sales taxes, payroll taxes and other taxes.) Some people who worry about rich people paying too much also worry about poor and working-class Americans paying too little; they think the way to provide incentives to work harder is to make rich people richer and poor people poorer. I don’t think any segment of the population should bear the entire burden of taxation, but you would hardly do that by allowing the Bush-era tax cuts to expire, and the tax rate to revert to 39.6 percent from 35 percent, on income in excess of $250,000 a year for couples and $200,000 for individuals. The 39.6 percent rates did not prevent the wealthiest 1 percent of Americans from increasing both the amount of their wealth and their share of the national income. I do not feel oppressed by having to pay taxes. Competitive free enterprise is a wonderful engine of creativity and innovation. But if we want services that covers everybody without exception – public education, police and fire protection, water and sewer service, public libraries and public parks, inspection of food and drugs for safety, a social safety net – we will have to pay for it in taxes. If we want to rebuild our crumbling roads, bridges and physical infrastructure, if we want to be a world military power, if we want to pay down our national debt, we will have to pay for it in taxes. The tax burden in the United States is a lot less than in other advanced countries. About 28 percent of U.S. output (gross domestic product) goes for taxes. That is a lot, but among 28 advanced industrial countries, only Japan and South Korea are lower, and only slightly. The average is 35.9 percent; Swedes and Danes pay 49.1 percent, the Germans, French, British and Canadians all pay substantially more. If you find this burdensome, you could get some relief by going to Mexico or Turkey, where taxes take only 20.6 percent and 21.5 percent of GDP. It’s more meaningful to compare actual government expenditures as a percent of GDP because that spending will have to be paid for, sooner or later. By one estimate, U.S. government expenditures – national, state and local – took up 36 percent of the nation’s GDP in 2006. These was more than South Korea, the same as Japan and less than Canada, Britain or Germany; the French supposedly spent 53 percent of GDP and the Swedes 54 percent. Go below the fold for detailed country-by-country comparisons. When Barack Obama ran for President, he promised tax reductions for working people and the middle class. This promise was kept. The vast majority of Americans got tax reductions for last year under President Obama’s Economic Recovery Act. My own income tax liability is about $5,000 less for 2009 than it was for 2008. I think most of this was due to last year’s holiday from taking required distributions from my Individual Retirement Account. I’m not entirely sure because my tax returns are prepared by an accountant. 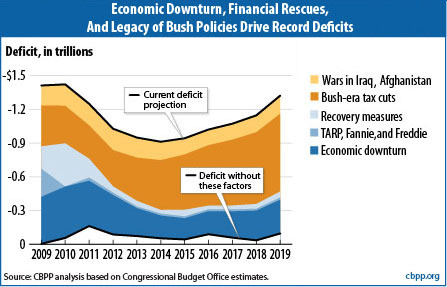 About a third of the economic stimulus in the Recovery Act was in the form of tax cuts. Was it worth it? I’m in favor of tax relief for families who are struggling to pay rent or put food on the table. I don’t fall in that category. I don’t live high on the hog by American standards, but I’ve never had to worry about where my next meal was coming from or how I was going to pay the heating bill. I’m going to get a nice income tax refund this year (unlike last year), and all other things being equal, I like low taxes better than high taxes. But my tax refund won’t stimulate the economy; I’m going to put the check in the bank. Except for the relief being given to families on the margin of survival, I think it would have been better to leave tax rates the same and use the money to rebuild the nation’s crumbling bridges, levees and other infrastructure. All this work is going to have to be done sometime, and paid for sometime. Why not now, when so many people are out of work? Are U.S. taxes on corporate profits too high? They are the second-highest in the industrial world. Many European countries keep corporate taxes relatively low by raising money through the Value-Added Tax, a kind of sales tax imposed at every stage of production on the value is supposedly added. The advantage from the standpoint of government is that the tax is invisible; prices in European countries are generally higher than in the United States, but the reason is not immediately obvious to the consumer. Another advantage of a VAT is that it is rebated on goods that are exported. The United States years ago tried to offer subsidies for exports equivalent to VAT rebates, but this was ruled an unfair trade practice by the World Trade Organization. Don’t weep for corporations, though. Nearly two-thirds of U.S. companies, including General Electric and ExxonMobil, pay no U.S. income taxes at all. In large part, this is because they get credit against their U.S. taxes for taxes they pay in foreign countries, and they arrange things so that most or all their profits are earned in foreign countries. Some say that corporate profits shouldn’t be taxed at all. The argument is that corporate stockholders are taxed twice, once when the corporation reports a profit and a second time when the stockholder receives a dividend. My answer is that, as a stockholder in a corporation, I get many benefits not available to an individual businessperson. The corporation is an artificial person which acts as a buffer between its creditors and me, the owner. If a corporation goes under, the most I can lose is what I invested; all other losses are absorbed by other people. Another advantage of owning stock is that I have a choice as to when and whether I sell it and take a capital gain. If I have stock in my estate when I die, in most cases the gain in the stock price over my lifetime is not taxed at all. The economist Robert Reich, who was Secretary of Labor in the Clinton administration, suggested in his book Supercapitalism that corporations be exempted from income taxation, but owners of stock be taxed both on dividends and on reinvested profits. In theory, this would be fair, if investment income were taxed at the same rate as wages and salaries. In practice, this would be a huge deterrent to investing in stocks; in a year like 2009 when the value of my stock portfolio fell through the basement, I would still face a sizable tax liability for those reinvested profits. Senators Ron Wyden, an Oregon Democrat, and Judd Gregg, a New Hampshire Republican, have proposed a tax bill which they say would close the loopholes that would enable corporations to avoid paying U.S. taxes, while lowering the top corporate income tax rate from 35 percent to 24 percent. President Obama hasn’t taken a position on it, but their idea reportedly has White House support. I guess I am for this if the loopholes really are closed. I don’t have an informed opinion as to what corporate tax rates should be; from the government’s standpoint, it is better to get some revenue from a 24 percent top rate than zero revenue from a 35 percent rate. My misgiving is that the proposal is in part a reaction to the power of corporations to play national governments against each other. They have the power to to pack up and move if they don’t like a national policy. The only solution in the long run is international agreement on corporate taxes through some body such as the Organization for Economic Cooperation and Development. 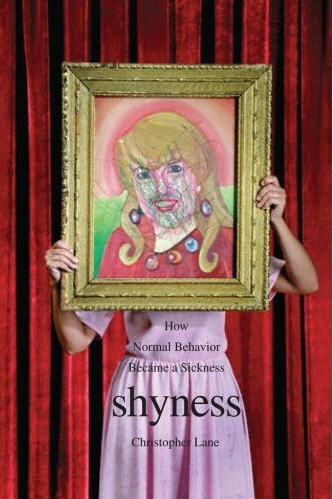 I recently read a disturbing book, Shyness: How Normal Behavior Became Sickness, by Christopher Lane, about the selling of mental illness in order to sell therapy and therapeutic drugs. Lane tells how attributes once considered within the normal range of human diversity came to be defined as mental illness, and how a therapeutic and drug industry sprang up around those definitions. It is disturbing as an example of perverse market incentives undermine professional standards and scientific objectivity. The book begins with an account of the academic politics behind the third edition of the Diagnostic and Statistical Manual of Mental Disorders (DSM-III), which came out in 1980. The purpose of the original DSM, which came out in 1952, was to provide standard and evidence-based definitions of mental illnesses, to diminish the subjective element in psychiatry and to enable therapists to speak a common language. In DMS-III, as a result of neuropsychiatrists outmaneuvering psychoanalysts, there was a great expansion of the number and scope of defined mental illnesses. Among these was “social anxiety disorder,” which, according to some estimates, affects one in five Americans. This proved a great boon to the anti-depressant and anti-anxiety drug industry; according to Lane, nearly 200 million prescriptions for such drugs are filled every year. This is due to the drug industry’s massive and successful advertising and public relations campaign, to sell people on the idea they were sick and needed treatment. DSM-IV came out in 1994 with an expanded list of mental illnesses, and a DSM-V is due out in 2015. The American advertising industry has a long history of selling problems – dandruff, hair loss, “Mr. Coffee Nerves,” “BO: what your best friends won’t tell you” – in order to sell products. The most disturbing thing about this disturbing book is the advertisements selling people on need to drug themselves. It is a bad idea, as Lane says, to encourage people to become dependent on drugs to cope with bad feelings. The use of psychopharmacological drugs is a step up from altering human behavior by means of brain surgery or electroshock “therapy,” but it, too, alters the brain in unforeseeable ways. By providing a chemical solution to emotional problems, you reduce the ability of people to cope with or live with problems. By chemically eliminating negative emotions, you blunt the ability to feel emotion at all. By biochemically altering the function of the brain, a delicate organ whose workings are imperfectly understood, you may make irreversible changes whose effects you don’t know. There are too many vested interests in the present system to expect change anytime soon. DSMs are used as the basis for determining Medicare, Medicaid and other insurance reimbursement. To change the definitions to make them more narrow would be to cut off many thousands, maybe even millions, for needed therapy. The therapeutic profession will not willingly a curtailment of the number of clients, nor will the drug industry willingly accept a curtailment of a lucrative market. But many people really do suffer from “social anxiety disorder” and really do need medications. “Social anxiety disorder” may include normal shyness, but I have met people who are unable to function in society at all without their medications. And I have had the misfortune to have to cope over an extended period with someone who needed to be on medications, but refused to take them. So the question is not how to get rid of psychopharmocological drugs, but where you draw the line on using them. And I, like most people outside the psychiatric profession, lack the expert knowledge to say where that line should be drawn. I am grateful for Christopher Lane for calling attention to this situation, but I don’t know what to do about it. I am reduced to the pious hope that the psychiatric profession itself will push back against perverse market forces and reassert professional and scientific standards. 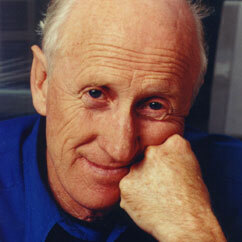 Stewart Brand was founder of the Whole Earth Catalog and co-founder of the WELL computer network and currently is president of the Long Now Foundation. The foundation’s goal is to achieve a long-term perspective by building a mechanical clock that will keep time accurately for the next 10,000 years. Click on Stewart Brand for his home page. The pictures below will either remind you how old you are or show you how young you are. I thank my friend Bill Elwell for sharing them. One of the advantages of the right-wing radical movement is that weak and imaginary enemies are easier to fight than the powers-that-be. It takes real courage to try to organize a labor union, but when you go after a poor people’s organization such as ACORN, you can feel like a hero without taking any actual risk.